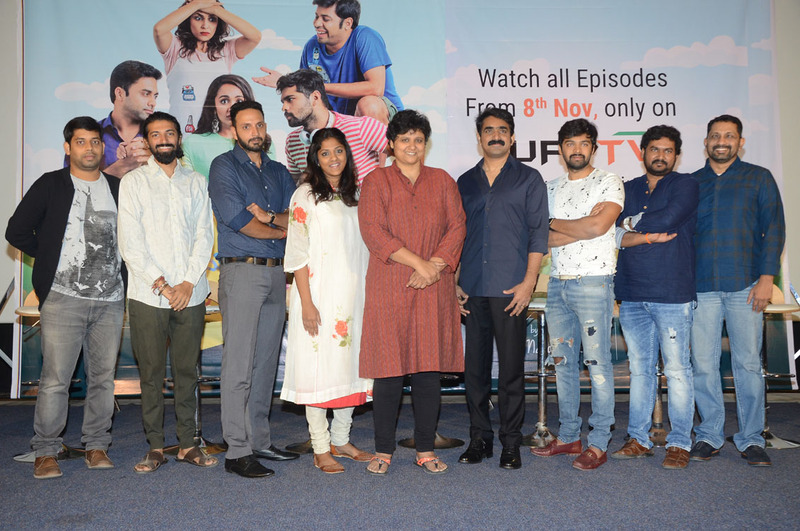 Hyderabad, 07th Nov 2017: Mr. Uday Reddy, Founder and CEO of YuppTV along with prominent producer Swapna Dutt, Vijayanthi Movies has launched their new web series “Mana Mugguri Love story”. This new content will be available in episodic format for the digital audience, exclusively on YuppTV’s platform. Cast: Navdeep, Adith Arun, Tejaswi Madivada, Rj Hemanth, Mounima, Aishwarya Raj, Dhanraj. YuppTV is one of the world’s largest internet-based TV and On-demand service provider for South Asian content, offering more than 200 TV channels and 2000+ movies in India.YuppTV , recently received funding from Emerald Media, a Pan-Asian platform established by leading global investment firm KKR for investing in the media and entertainment sector, wherein Emerald Media acquired a significant minority stake in the company for US$50mn. YuppTV had earlier raised its Series A round of funding from Poarch Creek Indian Tribe of Alabama.